A woman has been arrested after she plowed through the front of a Los Angeles police station with a baby in her car -- and then tried to back out as cops clung to the vehicle. 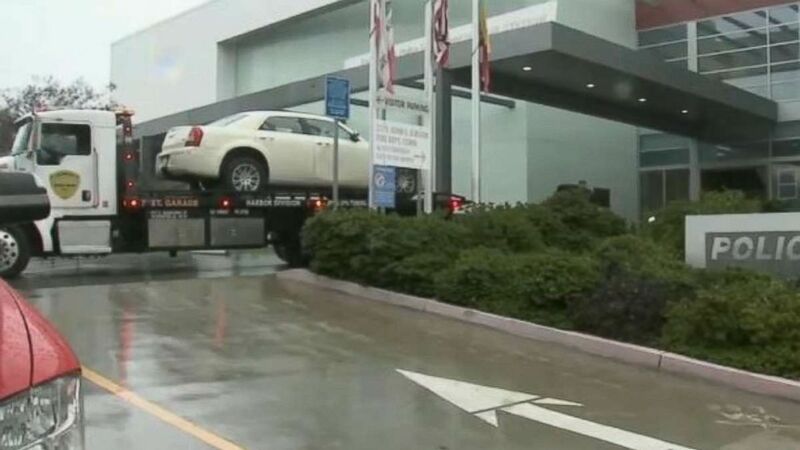 (KABC) The white sedan of a woman who drove through the front of LAPD's Harbor Area station early Saturday, Feb. 9, 2019, is removed from the scene. 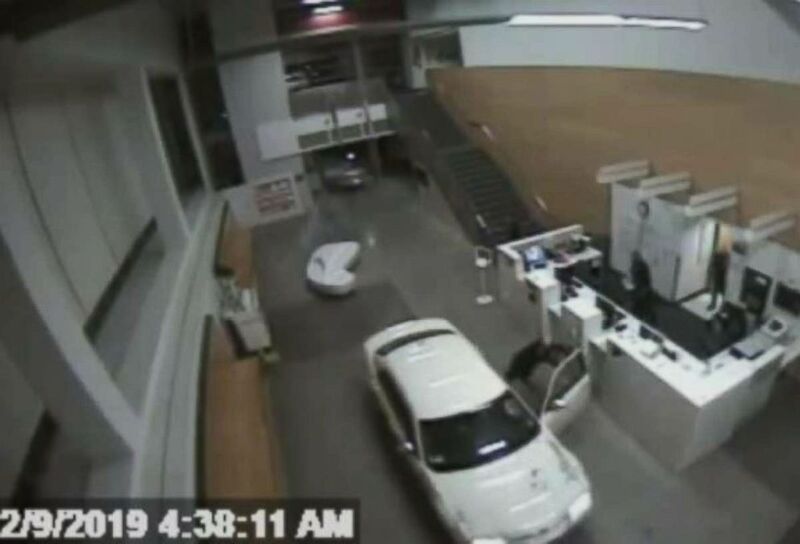 (Los Angeles Police Department) Police arrested a woman who drove through the front of LAPD's Harbor Area station early Saturday, Feb. 9, 2019, with a baby in her car.